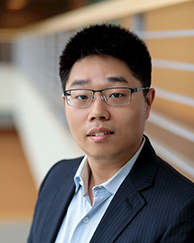 Xikuan (Kanix) Wang is a Research Professional at the Healthcare Analytics Laboratory. He studies healthcare analytics and machine learning, focusing on better solving operational, clinical and medical problems with data. He also works on natural language processing, with particular emphasis on developing empirical methods that deal with large volume, unstructured textual data. Another strand of his work considers the Nature vs. Nurture debate. He studied the health records of 150 million US patients, modeling the patterns of hundreds of diseases and uncovering hidden connections. His research has been featured in New Scientist, Newsweek, Quartz, Science Daily and Time. Before seeking his PhD at the University of Chicago, he earned a bachelor's degree in mathematics and biology at Wabash College.